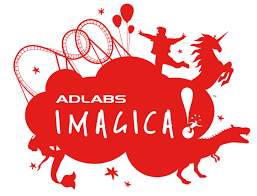 Are you prepared to take a ride along the Mumbai-Pune expressway to experience family entertainment at an unprecedented level by visiting the recently opened theme park that is, Adlabs Imagica! 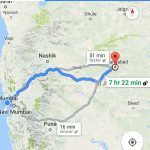 Of all the options to get to Khopoli Imagica, a rental car would seem like the most feasible option, especially if one is traveling with family or as a group of friends. Before we tell you how you can reach Adlabs Imagica in your rented car, let’s build up the excitement a little. Price All Included Same day Trip in Rupees. Traveling to Khopoli by road is an engaging experience as it provides some of the most magnificent scenery along the way. To make the most of this scenic beauty, it’s highly recommended that one take a rental car to Kholpoli as driving on the expressway and navigating the by roads in Khopoli is best left in the hands of experienced drivers who are familiar with the route and its associated hazards. And many of us know how stressful traveling with family can be in a bus or by train. Whether you’re planning a trip to Adlabs Imagica with family or friends or wish to pay the industrial town of Khopoli a visit to explore the tremendous business opportunities available there – renting out a car is a convenient, affordable and safe choice. Khopoli, a Municipal Council of the Mumbai Metropolitan Region and covering an area of roughly 30 square kilometers, is connected to the Mumbai suburban railway via a single line from Karjat. The distance from CST to Khopoli railway station is about 114 kilometers. Khopoli is also home to a temple of God Mahadev in the form of Vireshwar, built by Nana Phadnavis. This temple lies near a natural reservoir. This natural reservoir is built out of solid black rock and is in has a very symmetrical oval shape, naturally. The circumference of the reservoir is about 1,207 metres and covers a vast area of about 75000 square metres. The reservoir holds clear potable water throughout the year. At the entrance of the temple is a samadhi. Fairs are held in honour of this temple deity every year, on the auspicious occasion of Mahasivaratri. All the temples in the area are of considerable religious importance. Within the municipal limits of Khopoli, lies a defunct PAPCO Mill complex. Within the compound of this complex is a Parashurama temple and Fire temple or Agni Mandir which was built in 1971. The Gagangiri Maharaj Ashram is also located in Khopoli, it is here that Gagangiri Maharaj, a prominent guru, died on the 4th of February, 2008. A prominent industrial town in the Khalapur taluka of Raigad district, within the state of Maharashtra, Khopoli has recently become home to another major attraction. Adlabs Imagica, targeted at a totally different audience than that of businessmen and investors who set up facilities and factories within the region. Opened to the public in April of 2013, Adlabs Imagica is located near the industrial town of Khopoli on the Mumbai-Pune expressway. The theme park is India’s premiere and only international standard theme park. The theme park is about 80 kilometers from Mumbai and can be reached via the Mumbai-Pune expressway. Various tour operators arrange daily trips as well as packaged tours to Adlabs Imagica with night stay or single day trip options. However, the drive to Khopoli on the Mumbai-Pune expressway is best experienced by a rental car drive, leaving one free to take in the lovely scenery on the way. 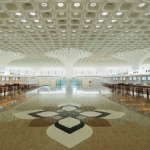 For those coming from outside the state, the airport closest to Khopoli is in Mumbai. 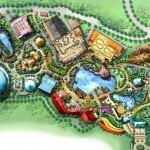 • A 300-room hotel and water park. • Khopoli is an industrial town on the NH-4, Mumbai-Pune highway, and at 80 kms from Mumbai has become one of the most prominent industrial hubs of the state. • Khopoli comes alive during monsoon as it is home to Zenith waterfalls, a major attraction for getaway seekers and trekkers alike. • Khopoli is also the base town ahead of the Khandala ghat leading to the twin hill station destinations of Khandala and Lonavala. • Khopoli is in close proximity to two prominent Ashtavinayak temples, Varad Vinayak Mahad and Ballareshwar Temple Pali. • Khopoli also lies in close proximity to Kalote Lake, home to lakeside farms that are popular day picnic spots for families and large groups as well as a seasonal waterfall. Apart from these, Khopoli also has a few restaurants and eateries catering to all kinds of tastes.